We're reinventing tech education to train students to become innovators in the fields of engineering, computer science, design, and entrepreneurship through programs, workshops, and more. We envision a world where students are as knowledgable about hardware and computer science as Google engineers. Where mentors can work with students to build real, practical inventions. That's a world where we've taken STEM education into the 21st century. From the moments you step into our classroom, we're committed to your success. We tailor our engaging and effective approach for each student to learn from our engaging and effective curriculum of both engineering and computer science. Using their newfound skills, each student will have the opportunity to create their own real, practical invention - anything from a web application, solar-powered car, to a robot. We provide a 1-on-1, personalized learning experience for all our students, regardless of skill level. With a painstaking attention to detail, we've developed a university-level curriculum alongside top educators and companies in New York. Our mentors are teens. Come to Kinet-X and code with Ivy League students. Build robots with world robotics champions. Launch startups with advice from successful teen founders. At Kinet-X, you'll be learning, building, and working with other brilliant young minds. Build awesome inventions in our programs. Build a website using the same language used to build Firefox. Create a rocket and shoot it into the skies. Construct your own battle-bot and compete against your friends. Develop a fully immersive virtual reality game. At Kinet-X, we mentor students to turn their ideas into reality with code, software, and machinery. Our students build full-fledged web applications, develop their own robots, and learn to create real inventions with real impact. 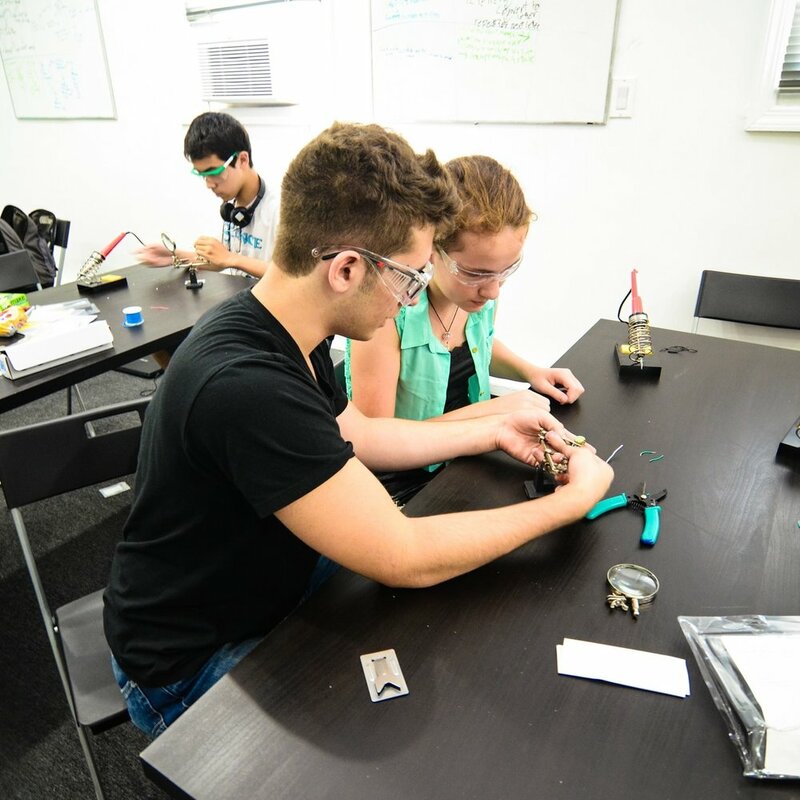 Our immersive summer programs cover a wide range of topics, from CS topics like AI, autonomous systems, web development, data science to engineering topics like magnetism, construction, circuitry to topics that combine both like robotics. We focus on real-world applicability; we minimize lecture time and highly value learning by doing. Learn computer science, engineering, design, robotics, and entrepreneurship all in one program. Choose only one of computer science, engineering, and design to learn in a program. Choose only one of computer science, engineering, design, and robotics to learn in a program.